For a business to sell a product they must establish what their company is all about. Marketing should begin by identifying what they offer the public through product branding. This technique leads customers to your business by establishing a specific product brand that you are identified by. Identify your product strengths and what sets it apart from others. Then look at the benefits your product can offer your clients. Next, what qualities do you want your business to represent to the consumer. Then give your product a name that people can remember. No matter what you offer the public, the same rule applies. The main goal of marketing is to increase product awareness to your target market and set your brand above the competition. 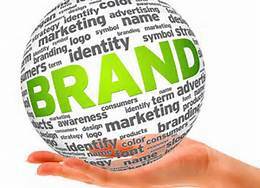 Below are some important strategies to promote your brand. One way to market your brand is by using different mediums such as television, radio, direct sales, email marketing and social media. Another way to establish your brand is by creating a logo to sets you apart from everyone. Some famous brand Logos are Nike, Twitter, Facebook, Google, Linked In, Pinterest, McDonalds, Visa, K-Mart, Fed Ex and Dairy Queen. Next create a tagline or catch phrase that people will remember. Place your brand logo in multiple locations. From your storefront to other places consumers, that might buy your product, would visit regularly. Ask others to share your information to friends, coworkers and their social media sites. Ask for customer recommendation because customers want to see how reputable your company is. Last, Be consistent in what you do. Don’t give up. Practice longevity and endurance.